Kore Potash has announced the results of a definitive feasibility study for its Kola project in the Democratic Republic of Congo. 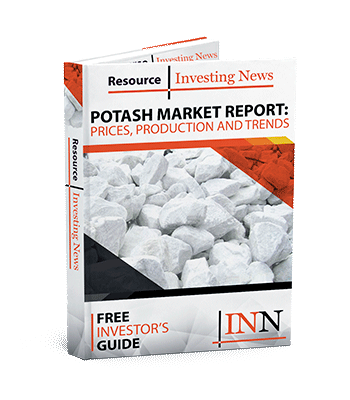 Agricultural company Kore Potash (ASX:KP2,LSE:KPT,JSE:KP2) has announced the positive results of a definitive feasibility study (DFS) for its Kola project located in the Democratic Republic of Congo. The potash project DFS was conducted by a consortium of French engineering companies throughout 2017 and 2018. The Kola project is part of the larger Sintoukola site, which is comprised of the Kola sylvinite and carnallite deposits, the Dougou extension sylvinite deposit and the Dougou carnallite deposit. One of key highlights of the DFS is the post-tax net present value of US$1,452 million. Kola will have a nameplate capacity of 2.2-million tonnes a year of muriate of potash (MoP), over a 33-year mine life, delivering average annual earnings of roughly US$585 million a year. Kore expects the development of Kola to have a pre-production cost of US$2.1 billion which includes a US$110 million contingency. Potash is a critical component in the agricultural sector, and demand for the crop additive is growing yearly. With the DFS now complete and favorable, Kore will move ahead with development. “[Kola] stands out globally as a project that needs to be brought into operation to meet the growing global demand for MoP,” added Sampson. “In the near future, we expect the amended environmental and social impact assessment to be approved as the last step to full permitting of the project. We look forward to receiving an engineering, procurement and construction proposal from the French Consortium this quarter, which will allow Kore to provide further detail to shareholders on the company’s plans for Kola,” he added. One area Kore will explore is the extension of life and scale of the project by incorporating the sylvinite mineral resource at the nearby Dougou extension. Kore shares were down 7.55 percent on Thursday (January 31), trading at GBX 4.62.